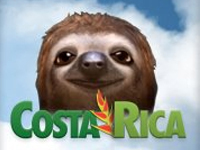 Written by Travel Excellence The campaign "Costa Rica’s Million Dollar Gift of Happiness", conducted by the Costa Rica Tourism Bureau (ICT) as part of the advertising strategies for U.S. and Canada has caused a big sensation in these markets, in just six weeks. The campaign will give away Costa Rica vacation packages to 255 people who will visit the country to know the main Costa Rica attractions for free. This project starts on October 6 and will end on February 5, 2012. The campaign grew from 8.000 to 51.844 followers on Facebook in a short time, and it keeps growing every day. To date over 60 thousand people participate to win a Costa Rica vacations tours that ICT gives away through the page Visit Costa Rica on Facebook. Nearly 20 people have accepted the "Gift of Happiness" and have assured a free Costa Rica vacations travel package. In addition, several recognized bloggers from USA and Canada as well as people with wide media coverage and who share the Costa Rica values, have also received the "Gift of Happiness" and have begun to spread the campaign among his followers in Twitter and Facebook. The Tourism Minister Allan Flores, said that the new, different campaign aims not only to generate discussions on Costa Rica tourist attractions in media and big-name programs, but also the exchange of experiences through social networks, was launched to achieve the objective of increasing the recommendation of the destination and re-visit to different Costa Rica vacation destinations. The ICT Deputy Manager, Maria Amalia Revelo, said media publications as in The New Yorker, USA Today, and Budget Travel have been very positive. The appearance of Costa Rica in the TV interview program of Anderson Cooper, on November 10, captured an audience of over 4 million people. Anderson Cooper gave the "Gift of Happiness" to the couple of Brittany and Cameron Humfleet, after the video where Cameron proposes marriage to Brittany became a YouTube sensation. Anderson Cooper has more than 1.7 million followers on Twitter and over 90 000 fans on Facebook. Costa Rica fans can watch five thematic trip videos in the country’s official page on Facebook: VisitCostaRica.